First Nerdcore rapper on Ello! First rapper full stop? Lead vocalist in B-Type. I rap about psychosis under my own name. I like chiptunes, I drink both tea and coffee, and can lick my elbow! Today I shall be DJing my friends 30th birthday and pretending like I know what I am doing. Ello! Is it me youre looking for? @thevirusempire welcome! this reminds me that I need to message you about not 1 but two things! 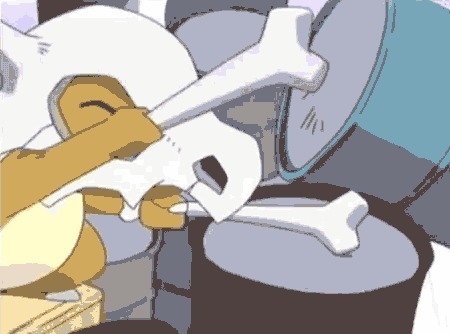 My header is now a drumming cubone. Outstanding. @ello Hello ello! Can you put my mind to rest? Who was the first rapper on this site? I think I might have been the first rapper on this site and I am going to pimp that fact until proven otherwise!